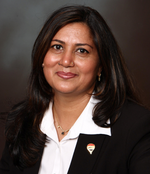 I am Ghazala Nuzhat, Sales Representative, RE/MAX Realty Specialists Inc., Brokerage , Mississauga . Here on my website, you will find many valuable tools to aid you in the process of buying or selling real estate in Mississauga, Brampton, Toronto areas and Oakville, etc. You can search the Latest Real Estate Listings, Tips on buying or selling a home, your Home Evaluation etc. Disclaimer By entering my contact information I give my express consent to be contacted by 'Ghazala Nuzhat, RE/MAX Realty Specialists Inc, Brokerage *' and or real estate salespeople on behalf of 'RE/MAX Realty Specialists Inc, Brokerage *' to discuss potential services.